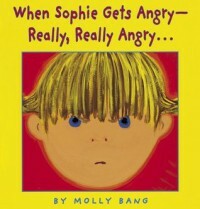 When sophie gets really really angry illustrates a girl named Sophie who gets angry and runs away. This book would be great to introduce emotions in the classroom. Anger can be very upsetting for some children, therefore this book displays that everybody gets angry sometimes. The discussion can also lead to what you can do to deal with anger. This book can also be read to the class while introducing routines and expectations.